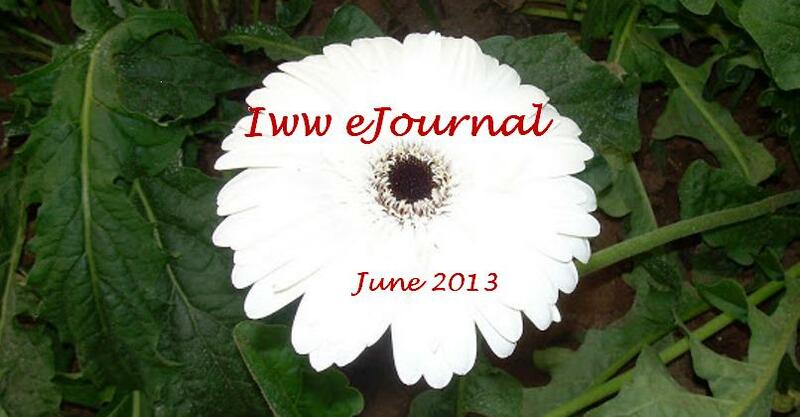 A warm welcome to the June 2013 issue of iww-ejournal. This issue comes to you with the usual fiction and non-fiction contributions from our writers - Short stories, Poems, Children’s story, Perspectives, As you Say, and the usual two Serial Novels. In addition, there is one more new novel from Bala, (which can be better referred as novella, since it contains only 13 chapters.) Hope you too will enjoy reading them as much as we did while preparing this issue. As usual, you can see the new writers who joined our team. We are glad to honour Mrs.Nuggehalli Pankaja, a veteran writer and a member of iww community, as the best commenter of the month (May 2013), through this ejournal. She has taken the time and trouble to post her feedback in the form of constructive comments about many of the contributions she has read at this site, which is highly appreciated.